 Occupational health services have traditionally focused on the effects of hazardous work conditions on work-related illnesses and diseases, sickness absence, and disability. Many publications have explored how risk factors at work cause or aggravate illness and disease. In addition, for many chemical, biological, and physical agents, the potential health effects have been well documented, although there is still a great need for unraveling exposure–response relationships, and new risks are being identified regularly, as is demonstrated in each issue of the Scandinavian Journal of Work, Environment & Health. Various publications have also addressed the consequences of illness and disease in terms of sickness absence and disability. In more recent years, research on intervention studies on effective programs for return to work has developed rapidly (1). In the past few years the economics of occupational health has emerged as a key area of research (2). This development echos the trend in health research to consider costs and benefits in the allocation of decisions in health and medicine. The context for this development is the reality that the availability of health-related interventions exceeds our societal ability to afford them by a considerable margin. Financial restraints in health care prompt for choices in intervention to be guided by evidence of the benefit for patients or populations (3). Research in the economics of occupational health is aimed at the following two primary questions: What are the costs of ill health among workers, and which interventions are good values for the money invested? The first question involves the total costs associated with the occurrence of occupational injuries and illnesses. In the past decade, in several countries, the national burden of disease due to occupational risk factors has been assessed. One of the latest examples, from New Zealand with a workforce of less than 2 million, estimated that 700–1000 deaths occur annually from work-related diseases and about 100 deaths are due to work-related injury (4). The Global Burden of Disease Study of the World Health Organization has shown that occupational risks are held responsible for approximately 5% of the total loss of healthy life years (5). For society, the morbidity and mortality due to occupational risk factors have a profound impact on the direct costs of health care and on the indirect costs due to the loss of long-term earning capabilities among workers. These burden-of-disease studies demonstrate that occupational illnesses can have large economic consequences, which call for investments in occupational health and safety. A related issue addresses how the health of workers affects their ability to work productively. For example, in their review, Schmier and her colleagues presented clear indications that overweight or obese workers are at risk for higher sickness absence and disability and, as a consequence, higher health care costs. These costs were presented as an important reason for employers to consider implementing health promotion programs to help employees achieve and maintain a healthy weight (6). Another study showed that 60% of workers returning to full duty after sickness absence due to a musculoskeletal disorder were still not fully recovered, experienced residual functional limitations, and reported a loss in productivity of about 20% shortly after their return to work. These findings indicate that the economic consequences of the occurrence of illness and disease are not limited to health care costs and sickness absence, but should also encompass reduced productivity at work due to health complaints (7). The second question concerns the cost-effectiveness of workplace interventions. In essence, companies will increasingly ask for evidence that the proposed interventions are worth their money. A cost-effectiveness study requires the measurement and valuation of the costs and health benefits of the intervention, whereby the valuations of health and costs are combined into a single measure, for example, the amount of money required for one additional year of life or one additional year in good health. A nationwide evaluation at the societal level in the United States on the cost-effectiveness of control measures at the workplace showed that the ban on asbestos friction materials was estimated at USD 24 000 per life year and the reduction of the benzene limit from 10 ppm to 1 ppm in the rubber industry at USD 76 000 per life year. These figures are in sharp contrast with the estimated costs of USD 6 700 000 per life year for the reduction of the formaldehyde limit from 3 ppm to 1 ppm in the woodworking industry (8). In a cost-effectiveness study on interventions in an occupational setting, the gains in health status (eg, less low-back pain, less hearing loss, less occupational cancer, or less obesity) due to the interventions are compared with the costs of achieving these health benefits. It is important to understand that, in general, it can be expected that interventions in occupational health will result in health gains for moderate additional costs. Rarely, however, will the financial rewards of the intervention outweigh the costs associated with the design and implementation of the intervention. A typical example of a cost-effectiveness study is the recent evaluation of a worksite physical activity program. The authors concluded that, although some effects were observed on energy expenditure and cardiorespiratory fitness, the cost-effectiveness ratios did not provide a financial reason for implementing the intervention (9). Economic evaluation has become an indispensable part of evaluating interventions in occupational health care. It has been demonstrated that performing work may affect our health due to strenuous work conditions and may lead to temporary sickness absence or permanent disability. On the other hand, healthy workers are more productive in performing paid work. The economics of occupational health has developed into an area of research with its own research agenda. There is an intense debate as to how to include valuations of productivity loss in a consistent way in economic evaluations of provisions of (occupational) health services. The challenges in economic evaluation involve the following basic steps: identification (what costs are relevant), measurement (how to measure, for example, the duration of an episode with reduced productivity at work due to health problems), and the valuation (what the costs per unit are, for example, for a day absent from work) (10). In recent years, considerable progress has been made in developing methods and instruments for economic evaluation (11–13). However, many issues remain to be addressed in research, especially with regard to the assessment and valuation of indirect costs due to productivity losses. Research is needed to evaluate the performance of productivity measurement instruments across a variety of jobs and workplaces, since there is evidence that particular instruments of productivity at work have poor agreement, depending on the characteristics of the jobs involved (14). Studies are also needed into the actual costs of sickness absence. In many cost-effectiveness studies 1 day of sickness absence is valued at the salary costs of one workday. This approach does not reflect the reality at most workplaces, whereby colleagues must take over work or workers themselves make up for lost work after their return to work. These compensation mechanisms may reduce productivity costs considerably, but are not well understood (10, 11). Another important issue is how to measure changes in productivity due to illness in workplaces without an individually oriented production process, such as most industrial settings have nowadays. A last research question to mention is the relationship between sickness absence, health problems at work, and productivity loss. Are sickness absence and productivity loss at work to some extent communicating vessels? Economic evaluation will increasingly play a role in decisions about interventions at the workplace. Information on the cost-effectiveness of different intervention programs may guide the occupational health professional towards better advice on priorities in occupational health programs. Progress in evidence-based occupational health care will require the further development and refinement of tools and methods for economic evaluation. Insight into the economic consequences of adverse effects of work-related risk factors on workers’ health and beyond will provide unique opportunities to demonstrate to decision makers in companies and government the necessity for workplace interventions and adequate provisions of occupational health services. In this regard, new measures must be developed to describe the long-term consequences of work-related risk factors on workers’ health. Nurminen and his colleagues have recently proposed a worklife expectancy metric that estimates how many worklife years a person loses because of work-related disability, compared with an ideal situation in which there is no loss of functioning throughout a person’s work career (15). A comparable alternative metric is workyears lost, an indicator to assess the impact of work-related ill health on prematurely quitting active workforce participation. Occupational risk factors partly determine being out of the labor market, and, in an aging society, an average increase in worklife of 1 year will have a dramatic impact on the increased costs of health care and pensions of the expanding retired population (16). Occupational health should take advantage of these developments and actively pursue a position in the frontline of the public debate on expanding costs for health care and social security since timely interventions at the workplace can contribute considerably to increased labor force participation among elderly workers. Economic evaluation in occupational health is a rapidly expanding research area with interesting scientific challenges, as well as new opportunities to improve the quality of occupational health care. Occupational health professionals will be challenged to convert these new economic approaches into powerful tools in their daily practice. The avid reader of the Scandinavian Journal of Work, Environment & Health will be able to follow the progress in this exciting area in the immediate future.